Eliminate the guesswork from production management. Instantly see the status of every job on every printer in every location, and know! 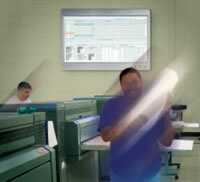 Supercharge your business with OpCenter Production. You have the staff, the equipment and the distribution infrastructure. Maximize the financial return from your existing infrastructure with OpCenter Production's state-of-the-art real-time intelligence. It's the command and control center of your digital nervous system. With OpCenter Production you have the agility to make fast decisions, eliminating production bottlenecks while maximizing asset and resource utilization. Real-time intelligence about every job, on every printer and at every location tells you what's working, what isn't, and what deadlines are at risk. In today's fast-changing and hyper-competitive business environment, you need a tight and efficient operation to meet customer requirements and maximize profitability. OpCenter, Inc. enabled us to use the best components from several different vendors instead of having to be dependent on a single vendor. 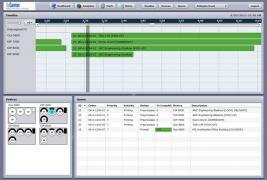 In addition, we utilize the OpCenter Production software so our production managers can more easily share work and visualize the available capacity in each of our offices. The Dashboard runs on your desktop or laptop computer. Company executives can get real-time activity and statistics on any production location from their web browser. Whether they are in the office, at home or on the road, information is available anywhere there is secure access to the company network. The Job Board shows all employees the status of jobs in their office and at other locations. A large flat-panel monitor hangs on the production floor of every location. It displays the status of all jobs and all printers, cycling through every office in the company to show the status of every job and every printer in each office. Every employee in the office can see the status of jobs they are working on. Colors show the status of each job, making it easy to identify when a deadline is in danger. Track media status by roll and paper size. As the pressure increases to turn jobs around faster, it gets harder to keep track of multiple jobs and multiple deadlines. When an error occurs or a rush job is introduced, everything changes. 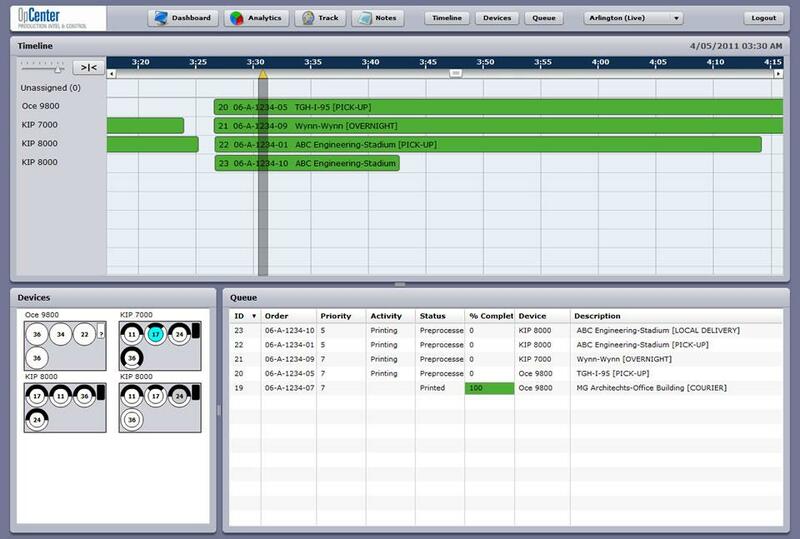 With OpCenter Production, you can easily monitor jobs to meet the deadlines you commit to. It’s possible because you can see where every job is being fulfilled and track when it will be completed. This includes jobs that aren't currently in production. If the scheduled completion time will not meet the deadline, you can re-prioritize jobs, reassign the job to a faster printer, or split the job among multiple printers. OpCenter Production helps you make good on your word, every time. As the backbone of your digital infrastructure, OpCenter Production gives you more control and better use of the assets you already own. Identify bottlenecks quickly and route jobs from over-utilized or down equipment to under-utilized equipment. Employees are more productive because the workload in each shop is better balanced. And profitability rises because you make the most of what’s already in place. Production managers rarely have the ability to monitor workloads or job status at other locations, and are consequently prone to utilizing local resources for every job, regardless of the impact on schedule, delivery or overtime. With OpCenter Production's enterprise view, production managers can easily collaborate to fulfill jobs in locations where there is available capacity. The status of shared jobs is monitored remotely. OpCenter Production enables you to maximize volume per printer and per shop.